The following are a sample of the many resources within Scootle that unpack the history and significance of Anzac Day to the people of Australia and New Zealand. The Scootle metadata page provides the links to the Australian Curriculum where appropriate. 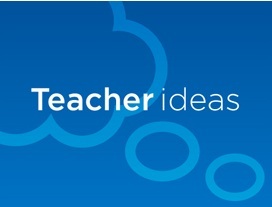 By viewing the Educational details in the Scootle metadata view teachers will also glean the usefulness of the resource to their curriculum planning. Reproduced courtesy of Australian War Memorial. Artwork by Frank Crozier. 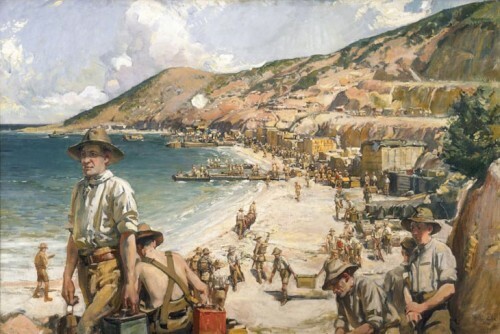 This collection of 21 digital curriculum resources about the Australian and New Zealand Army Corps (Anzacs) at Gallipoli is organised into seven categories – the landing; maintaining the beachhead and supplying the men at the front; Simpson and his donkey; the May truce between the Anzacs and the Turks; the August Offensives; the youngest casualty; and remembering the Anzacs and promoting the legend. The collection contains original and re-created footage, photographs, paintings and documents. This clip shows Australian Major Barton (Bill Hunter) receiving a telephone call from his commanding officer, Colonel Robinson (John Morris), who insists that Barton order his men to attack. Barton is reluctant to issue the order, but his resistance weakens. Reproduced courtesy of the Museum of New Zealand Te Papa Tongarewa. Designed by Palmer and Mahood. 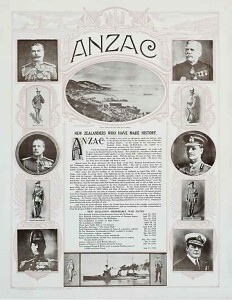 This is a poster commemorating the New Zealand role in the Australian and New Zealand Army Corps (ANZAC) campaign in Gallipoli during the First World War.